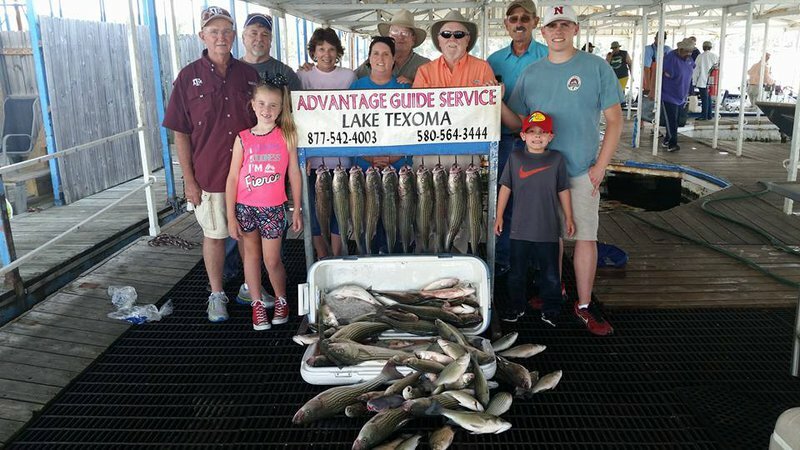 Located on beautiful Lake Texoma, Advantage Guide Service provides year round guided fishing trips for striped bass, also known as striper, and jug fishing trips for catfish during the winter months. During your 6-8 hour trip, enjoy a truly one-of-a-kind deck boat with a bathroom onboard. The handicap accessible boat can accommodate up to six people and includes a large access gate and level deck. Guests will ride high and dry in comfort and safety on this craft, rightfully named "The Memory Catcher." 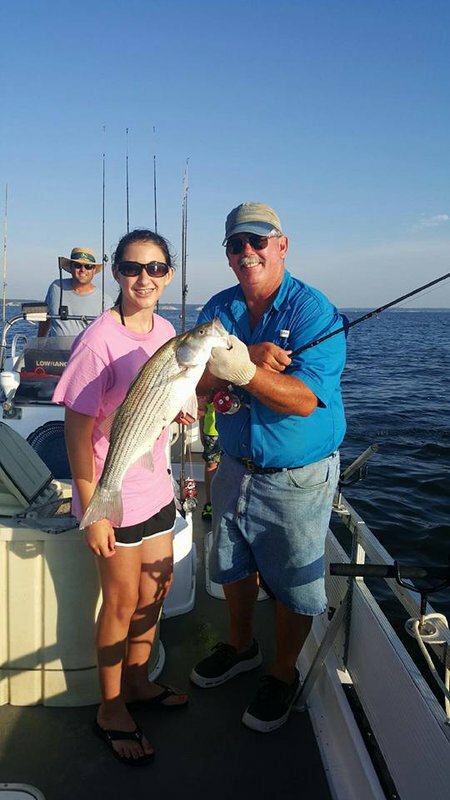 Since children and first time fishermen are always welcome, these guided fishing trips are great fun for the whole family. 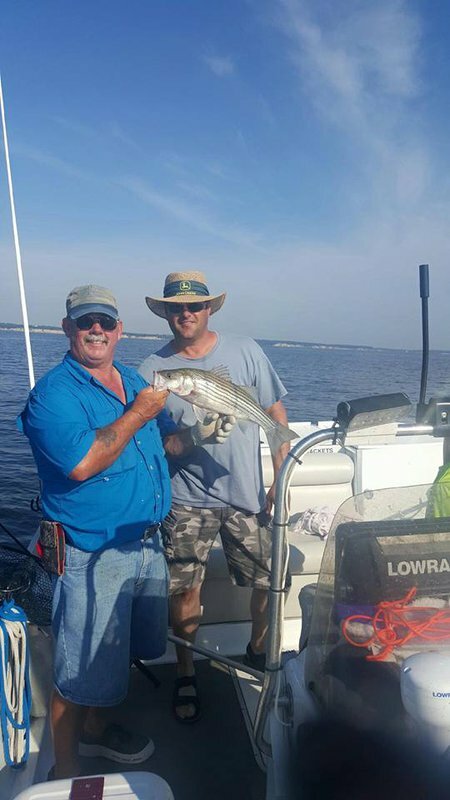 Advantage Guide Service supplies live bait, tackle, fishing advice, demonstrations and plenty of fishing stories for one fee. The daily catch is even filleted and bagged for you at the end of the day. Give Advantage Guide Service a call today to set up your trip, and come catch an incredible vacation memory. 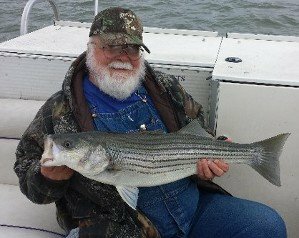 Located E of Kingston, just 4 miles S of Hwy 70 on Lake Texoma.